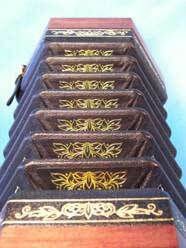 Involving woodworking, metal working, and bookbinding skills concertina makers have traditionally used the best techniques and materials available to them at the time. Thomas Concertinas endeavors to do the same using today’s best and most durable materials. Pau Ferro wood is used for the ends and sides. Bellows are handmade out of the finest goat skin and high quality archival card stock and are gold tooled with an original design. Handstraps are tightened by adjustable cam style buckles and the position of the handrests can be customized by the player to allow for a more comfortable fit. The buttons are nickel silver. 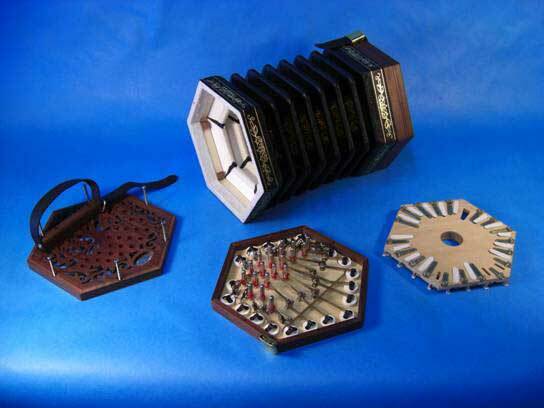 The reeds in a Thomas Concertina are crafted from hardened spring steel. Each reed is individually cut and shaped to fit its corresponding reed shoe. The mechanism is based on traditional riveted action model. Instead of a brass rivet for the lever to turn on there is an axle and bearing made of hypodermic stainless steel tubing. This allows for a longer and more durable bearing surface while maintaining the same fast action of the riveted design. 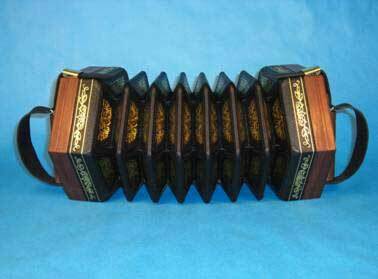 Each concertina comes with a durable and waterproof case, meeting airline carry on regulations. The closures are secure, and the case is equipped with a removable shoulder strap. 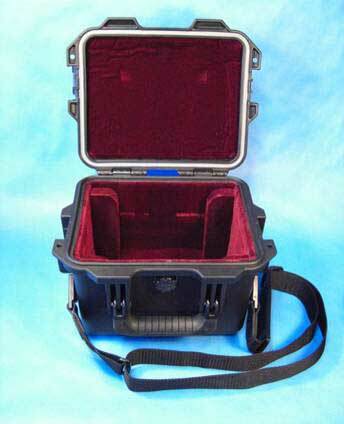 Each case is velvet lined and blocked to fit the instrument.